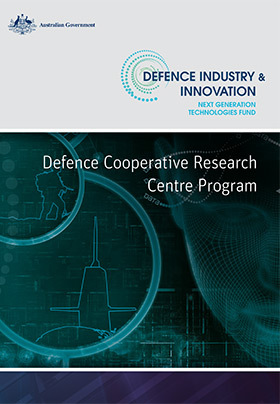 The Defence Cooperative Research Centre program is one of the major initiatives under the Next Generation Technologies Fund. Defence seeks to work with Australia’s research and development community to develop next generation technologies that have game-changing potential. This program will bring together a world-class team from across Australian academia, publicly funded research agencies and industry to engage in multi-disciplinary research and innovation.